Each state is governed by their own wrongful death laws. In the case of a wrongful death, there is a limited time in which you can file your claim with the help of a personal injury lawyer from Maryland. In this article, you will learn what wrongful death means and what the wrongful death time limit in Maryland is. The purpose of a wrongful death claim is to compensate the immediate family of the deceased person when their loved one has lost their life because of wrongful death negligence in Annapolis. It is helpful for some wrongful death plaintiffs to think of the case as a personal injury claim where the injured person can no longer bring their claim to court. As a result, the family members of the deceased individual will file a wrongful death claim in court with the help of an Annapolis injury lawyer to hold the defendant accountable for their actions and receive compensation for the loss of their loved one. Survival actions, where the action is brought on behalf of the estate with the help of an Annapolis injury lawyer. Thus, the estate will receive compensation for the losses (medical expenses, funeral, burial, etc.) related to the death. The estate will also be compensated for the loss of the loved one, pain and suffering and the suffering associated with the final injury or illness of the deceased person. Wrongful death actions, where the action is brought on behalf of the close persons of the deceased individual (spouse, parents, children, etc.) with the help of an Annapolis injury attorney. All these actions will compensate the surviving family members for their loss in connection with the loved one, including lost wages, lost support, lost companionship, etc. Who can file a wrongful death claim in MD? In the Maryland state, there are very specific rules in regards to who may file a wrongful death claim. In general, the main factor that influences this is the way they are classified (primary or secondary beneficiary). Primary beneficiaries are the surviving spouse, children, and parents of the deceased person. In the case where the recipient is still alive, they can file a survival claim, a wrongful death claim, or both, for the wrongful death negligence in Annapolis. If their Annapolis injury attorney brings either of these claims to the court, the damages awarded will go to the primary beneficiaries (close relatives). Secondary beneficiaries are surviving siblings, nieces, nephews, cousins, as well as other family members. If no primary beneficiary is still alive or if the surviving ones don’t want to file a claim, it is possible for a second beneficiary to file on behalf of all the beneficiaries (primary and secondary). 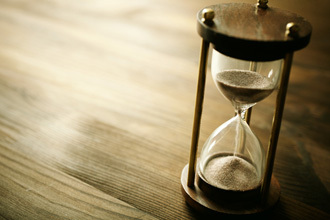 In Maryland, the statute of limitations means there is a deadline for filing a wrongful death lawsuit. The wrongful death time limit in Maryland is three years since the date of death of the deceased person. Any claim filed after that will be most likely thrown out by the court without any hearing. Contact the best personal injury lawyer in Maryland at (443) 569-3950 or by email: [email protected] to discuss details of your case in a free consultation.